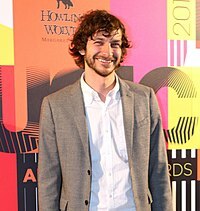 Wouter „Wally“ De Backer (talaffuzi: Vauter Valli De Baker; 21-may 1980-yilda tugʻilgan) Gotye taxallusi bilan mashhur belgiya-avstraliyalik xonanda, sozanda va shoirdir. Ovozini Sting va Peter Gabriel′larnikiga qiyoslashadi. Gotye uchta studiyaviy va bitta remiks albom chiqargan. Gotye′ning 2011-yilgi „Somebody That I Used to Know“ ashulasi Billboard yuzligida 1-raqamni olib, uni belgiyaliklar orasida Billboard birinchiligini olgan ikkinchi xonanda qildi (birinchisi 1963-yili Sœur Sourire edi). U beshta ARIA mukofotini qoʻlga kiritdi, 2011-yili MTV EMA nomzodi boʻldi. ↑ Pareles, Jon (22 October 2011). Gotye Fans Turn Out to Sing Along. The New York Times. 9 February 2012. ↑ Fuentes, Catherine (30 January 2012). Song Premiere: Gotye's Eighties-Inspired 'Somebody That I Used To Know'. Rolling Stone. 9 February 2012. ↑ Thompson, Stephen (22 January 2012). First Listen: Gotye, 'Making Mirrors'. NPR. 9 February 2012.